There's No Such Thing As An Expert In The Paranormal? It's often said in the paranormal community that "there are no experts in the paranormal and that anyway who says they are is a liar." Is this really the case? Well, it's true that anyone who boasts about being an expert in the paranormal probably isn't, but there are many who write about, research and investigate the paranormal who could be considered experts. Those who argue that you can't be an expert in the paranormal do so on the basis that "no one can know everything about the paranormal" and because the very natural of the topic is unproven. It's true, you can't take a degree in the paranormal, and besides specialists courses which aren't academically recognised there are no qualifications. 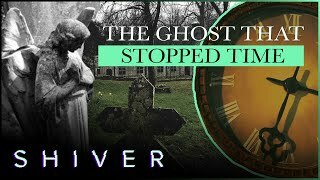 No one can know everything about the paranormal, being alive is a major obstacle in that respect, but once dead, things might become clearer one way or another. It should also be remembered that the paranormal is a wide-reaching subject that covers everything from telepathy and psychokinesis through to UFOs and precognition. However, you don't need to know everything to be classed as an expert, the dictionary definition of an 'expert' is "a person who is very knowledgeable about or skilful in a particular area." That doesn't immediately make all amateur ghost hunters experts, in fact it rules out most and especially rules out entertainers who are investigating the paranormal primarily as a form of entertainment, but it would be hard to argue that the legendary paranormal investigator, Harry Price, wasn't an expert. He was the most knowledgable and experienced paranormal investigator of his time. There are also modern day examples, people who have studied the topic and know the field better than most. To pluck one name out and use as an example, although there are others, the author and historian Mike Covell. Mike knows the ghost stories and paranormal history of his home town of Hull better than anyone. He's appeared on local, national and international television shows, as well as making appearances in the press, radio, blogs and even lectured on the subject of the paranormal. It's true, even Mike doesn't know everything about the paranormal, he might be an expert on Hull's spooky goings on but if I quizzed him on the paranormal history of my local area he might be stumped, but Mike is "a person who is very knowledgeable about or skilful in a particular area" - an expert. Other present-day examples include Ciarán O'Keeffe, he's probably best known for his time on the long-running television show 'Most Haunted', but aside from that Ciarán is an expert in parapsychology. His biography states that he is "a British psychologist specialising in parapsychology and forensic psychology." The dictionary definition of 'specialise' is "concentrate on and become expert in a particular subject or skill." Although clearly skilled and knowledgeable, even Ciarán doesn't know everything. He has an area of expertise within the broad subject parapsychology. In Ciarán's case that area of expertise is hauntings and poltergeists, and survival research due to his PhD, which was primarily on mediumship and three decades of research on mediumship. What about the many authors who have written books on hauntings and the paranormal? The likes of Guy Lyon Playfair and perhaps even Ed and Lorraine Warren. These authors are considered by many to be experts in their field, having researched and written books. Guy could be deemed an expert in poltergeists having investigated many cases, and Ed and Lorraine are regarded by many as two of the biggest names in the field of demonology. Like most of the problems in the world, the reason the term 'expert' is disputed is because of the tabloid papers who throw the term around where it's not appropriate. 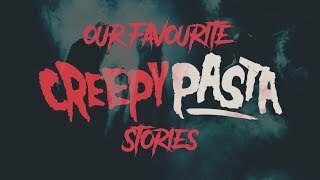 Attention grabbing headlines tell us "Derelict Manor Is The Most Haunted House In Birmingham Says Paranormal Experts", but upon reading the article you'll find these "experts" are nothing more than local group of YouTubers who've spent the night in the house with a cheap night vision camera - not an expert. This brings us back to the original point of all of this. I know the likes of Mike Covell and Ciarán O'Keeffe would be too humble to label themselves experts, even if to the rest of the world they are. Those who go around making unsubstantiated claims that they are an expert are nothing more than chancers and attention seekers. If you ever want to be considered an expert yourself, then your best approach is to never stop learning, be humble, be helpful and aim to be the best you can be. Can you become an expert in the paranormal?